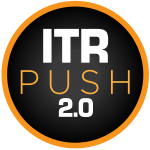 ITR PUSH 2.0 - ITR Concession Co. LLC. As part of the ITR PUSH 2.0 Project, ITR Concession Company LLC (ITRCC) will invest over $70 million beginning April through November to improve customer safety and provide a higher quality travel experience on the Indiana Toll Road. This Project will reconstruct Mile Markers 0-10, more than 44 lane miles of pavement, 4 interchanges, and make improvements to 16 bridges. This investment in the roadway will result in a safer, smoother Indiana Toll Road and requires less routine maintenance. Over $400 million will now be invested in combination with other improvements along the Indiana Toll Road since 2016. Reduce the level of maintenance work required in the future. Provide a smoother and safer road for improved travel conditions and lowers vehicle operating costs. Upgrade the ITRCC communications system to enabling faster and more efficient response to customer needs. Deliver state-of-the-art technology which improves safety and customer service. Generate 100 jobs and over $180M of economic activity in Indiana. The 80/90 PUSH Project will rehabilitate the pavement and bridges within a 10 mile segment of the Toll Road, from the Stateline (milepost 0) to Cline Avenue exit (milepost 10). What are the major improvements being made as part of this rehabilitation project? The project will involve the rehabilitation of 10 miles of pavement, including shoulders and ramps as needed; the rehabilitation of 16 bridges; and the installation of a fiber optic cable to support an Intelligent Transportation System (ITS). How will the installation of a fiber optic cable improve conditions along the ITR? How will traffic be maintained along the ITR during construction? At least one lane of traffic will be maintained throughout construction. During summer holiday weekends (Memorial Day, 4th of July, and Labor Day) all four lanes will be open to the traveling public. Construction updates can be obtained by signing up for monthly email or text updates. Click here for more information. Will local roads be affected during construction? Improvements to interchange ramps may require the closure of the ramp. Also work on some of the bridges will require the closure of local roads. The project team will coordinate with local businesses when construction may affect access to their facilities. Residents and emergency service providers will also be notified of local road closures and work zones that may affect their travel patterns. When will construction begin and when will the project be complete? Construction will begin in April 2019 and is scheduled to be completed by November 2019. What is the estimated cost for the project? The rehabilitation project is estimated to cost $70 million. Will tolls go up to pay for this project? No. This project – as well as the improvements to Travel Plazas – are part of the ITRCC’s commitments when they acquired the lease of the Toll Road. Why is the construction necessary? The existing pavement was constructed over 50 years ago and is now due for reconstruction. Likewise, many bridges are to be upgraded and repaired. When complete, the roadway will be safer, smoother, and require only routine maintenance for years to come. Local communities and institutions will be coordinated with to identify concerns regarding specific facilities and major events that require consideration when scheduling construction. The project team will also be coordinating with local businesses when interchange work will affect access to their facilities. Information about construction activity and upgrades regarding work zones will be communicated to emergency service providers, the public, and the media regularly. How can I make sure that I stay informed about the project? Who can I contact regarding this project? The Communication Team can be reached at (219) 228-8299 or push@indianatollroad.org. Fiber Optic/ITS The 80/90 PUSH Project includes the installation of a fiber optic line in the corridor. This will allow ITRCC to implement a range of Intelligent Transportation Systems (ITS), allowing them to better identify current roadway conditions and provide real-time information to Toll Road customers. The Safety of Our Customers and Our Team is our #1 Priority Safety is at the heart of this project. First, in the work that is to be completed – new pavement, widening narrow bridges, and installing a fiber optic line that will form the backbone of Intelligent Transportation Systems that will monitor conditions and communicate with customers – each improves the safety of the Toll Road. Second, in how the work will be completed. ITRCC and Rieth-Riley are both committed to ensuring the safety of workers and customers. Our goal is zero lost-time injuries. To achieve this goal, our construction zones are designed with safety in mind. Construction zone vehicle accidents occur most frequently when traffic suddenly stops and drivers do not react quickly enough. Our work zones are equipped with technology that monitors traffic flow in real-time and automatically communicates this information to drivers through digital message signs. In addition, our workers are all required to undergo a project-specific safety training program designed to keep everyone safe. We want our customers and workers to get home safe.